Blue aliens have officially taken the "Titanic" down. The "Titanic" has been sunk. Again. 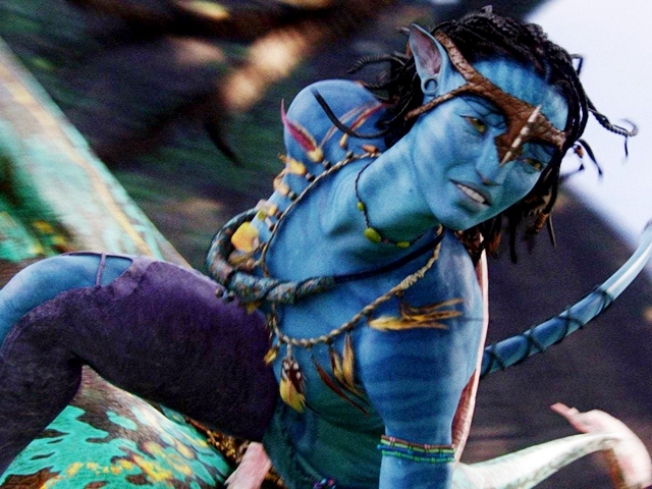 James Cameron's second big-screen blockbuster "Avatar" has officially topped his first foray into billion-dollar movie territory, topping the epic flick "Titanic" to become the world's highest grossing movie ever, distributor 20th Century Fox said Tuesday. "Avatar," the sci-fi fantasy about a future war between giant blue aliens and humankind, raked in $1.859 billion worldwide as of Monday, beating the $1.843 billion tidal wave "Titanic" brought in from 1997-1998, spokesman Greg Brillianttold Reuters Tuesday. Like "Titanic," "Avatar," which is also being shown in 3-D at theaters worldwide, topped at the Golden Globes, winning Best Picture honors. Cameron's film is also expected to win big at the Academy Awards, as "Titanic" did in 1998. Critics and audiences alike have fawned over "Avatar," raving over its lush cinematography and realistic animation. The film, which stars Sigourney Weaver, Sam Worthington and Zoe Saldana, was both written and directed by Cameron, who also helmed "Terminator 2."